For decades, sea turtles have been facing many life threatening obstacles which have caused devastating decreases in populations around the world. While many of the difficulties they face occur in the water, nesting adult females and hatchlings have even more threats to face on the beach, since the females must come up on land to lay their eggs in the sand. Nesting habitat loss is a major concern for sea turtles, and coastal development, beach armoring, and beach renourishment all impact habitat loss. Beach development has seen an exponential rise in recent decades has more people migrate toward the coasts. Early development wiped out dunes and vegetation. Vegetation, such as beach grass and sea oats, not only help to accumulate sand and prevent erosion, they are prime nesting locations for sea turtles. As these areas are lost and beach erosion occurs, sea turtles are forced to lay their nests closer to shore line where nests are more susceptible to drowning from high waves and washing out to sea. Unnatural lighting along the shore cause hatchlings to crawl away from the ocean, and crawl towards pools, parking lots, and roads. As development increases, so does beach armoring. 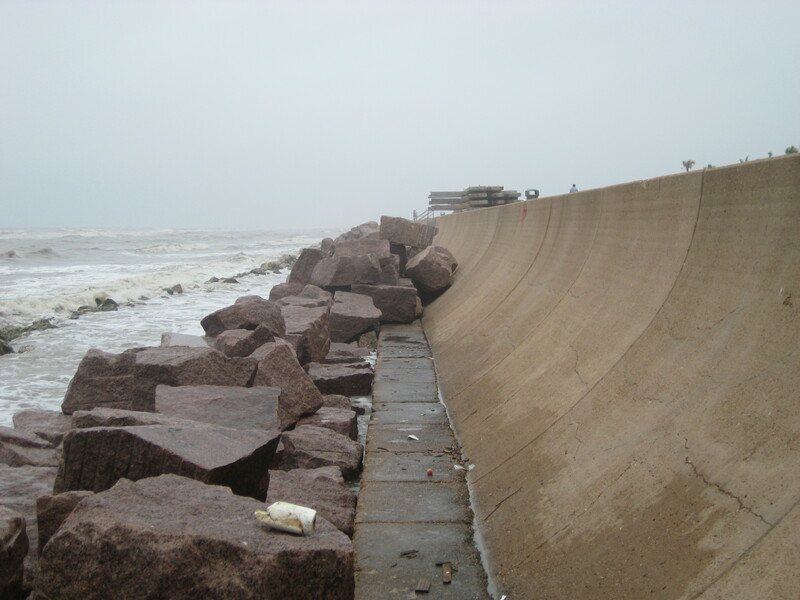 Beach armor consists of any man made structure, such as sea walls and rock revetments, put in place to protect buildings and prevent sand loss. 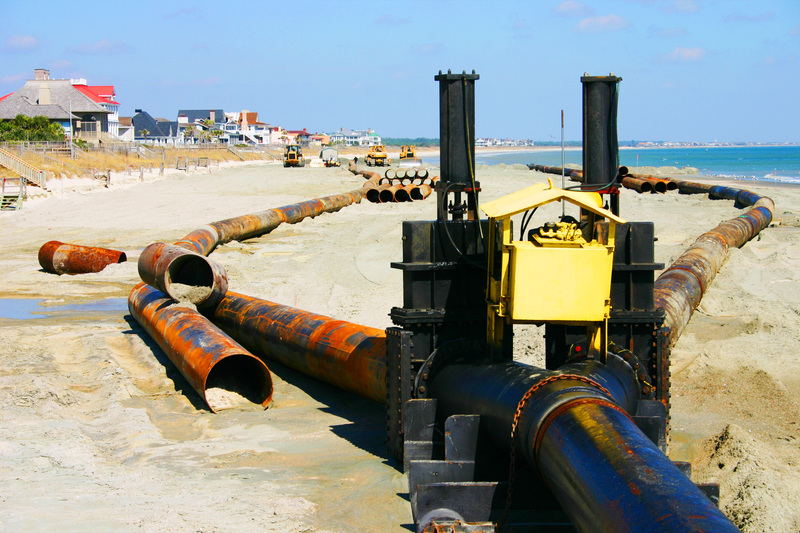 However, beach armor does not allow beaches to naturally recover after erosion from a storm, and as a result, these structures decrease the amount of beach over time. These structures also cause an unnaturally high amount of false crawls, as females run into them while looking for a nesting site and return to the water. If a nest is laid in front of a structure, the eggs have a much higher chance of being inundated with water and drowning or washing out to sea due to sand erosion. 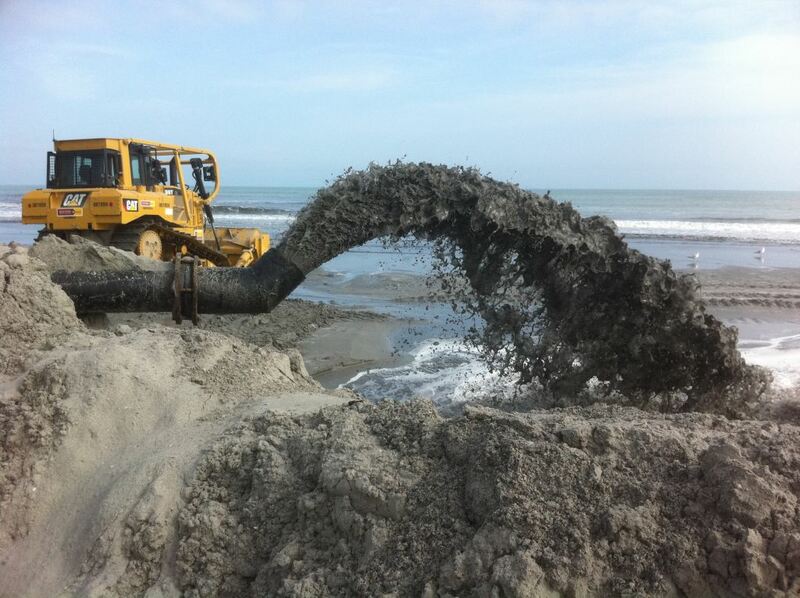 Beach renourishment protects against erosion by resupplying beaches with more sand. While this is seen as the lesser evil, it still negatively impacts nesting turtles. If the sand that is pumped onto the beach does not match the original type of sand on the beach or is too hard packed, sea turtles may have a difficult time nesting or chose not to nest on that beach at all. While these threats continue to occur, strict regulations and laws prevent most construction from occurring during the official nesting season. If construction is still ongoing during nesting season, the beach must be patrolled to find and relocate eggs away from the construction. Renourished beaches must be monitored after construction to determine if the renourishment has impacted the turtles nesting behaviors. Dunes and beach vegetation are now protected and lighting ordinances are put in place along the beach to help reduce their negative impacts on hatchlings.